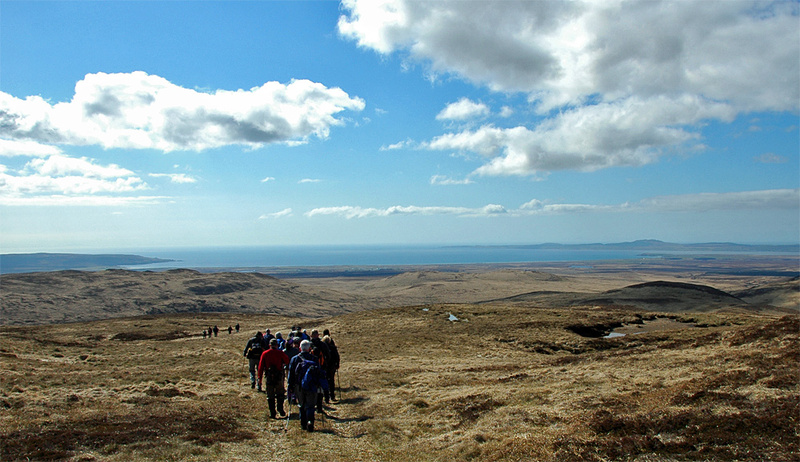 A great view during an Islay walking week a few years ago. Here we were on the way back to Castlehill after a great day in the hills. Laggan Bay is stretching out wide in front of us, showing how long the Big Strand is. The Rhinns of Islay and Loch Indaal in the distance on the right. The Oa on the left. This entry was posted in Landscape, Repost, Sea Loch, Sunny Weather and tagged Castlehill, Islay, Laggan Bay, Loch Indaal, Rhinns of Islay, The Oa by Armin Grewe. Bookmark the permalink.